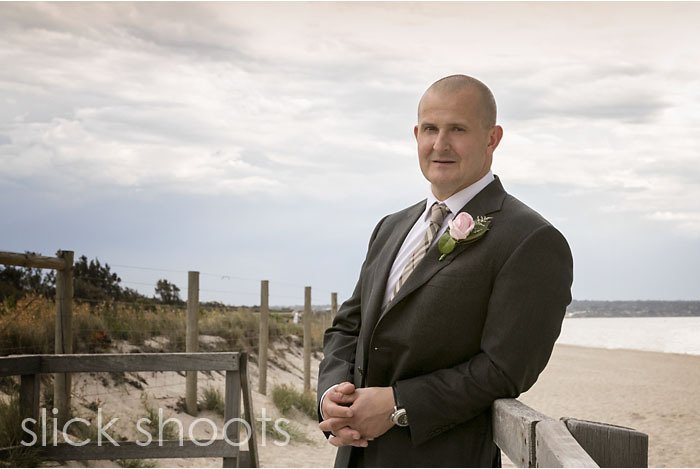 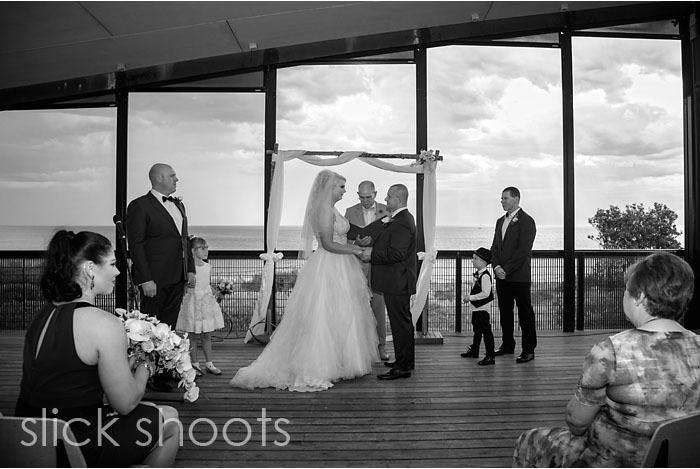 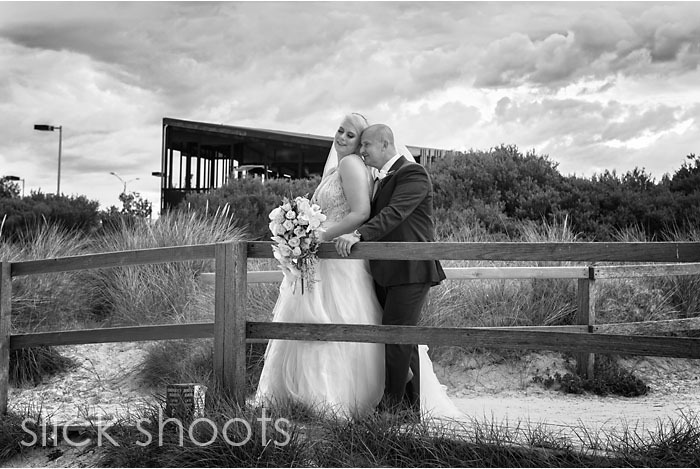 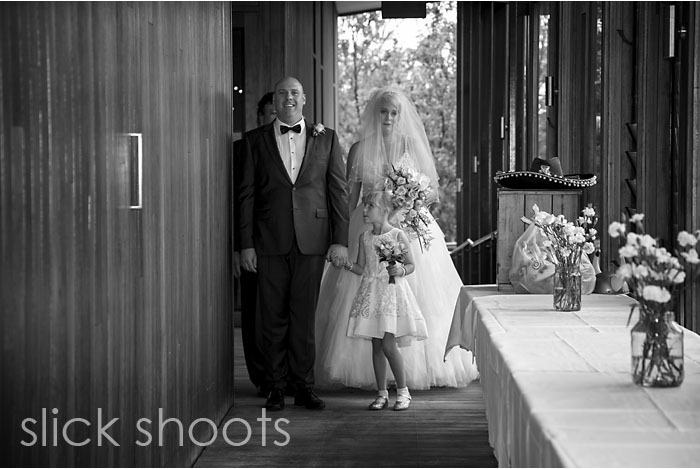 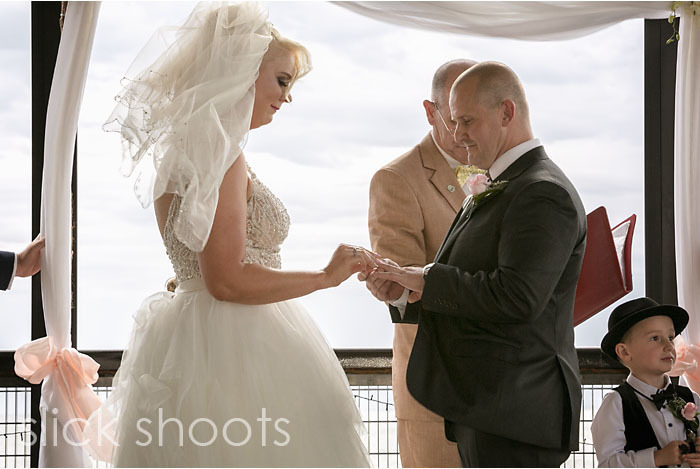 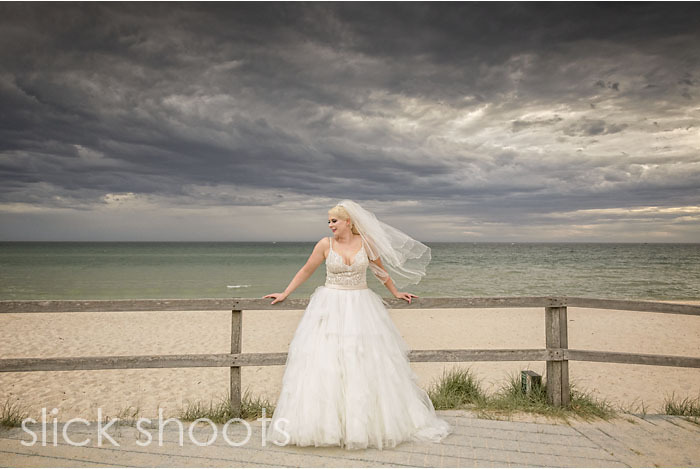 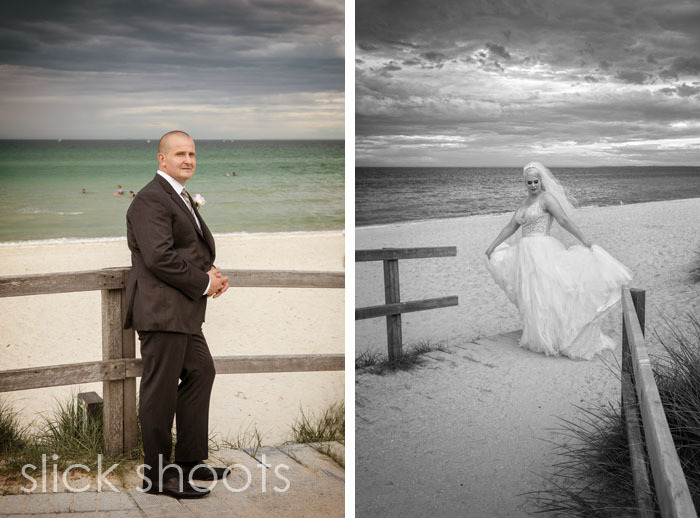 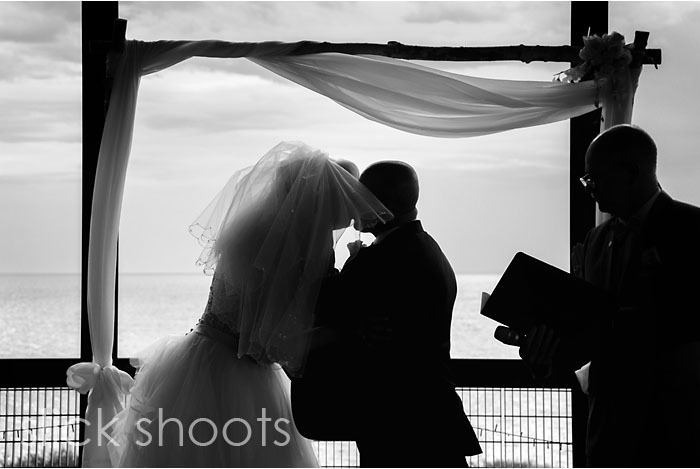 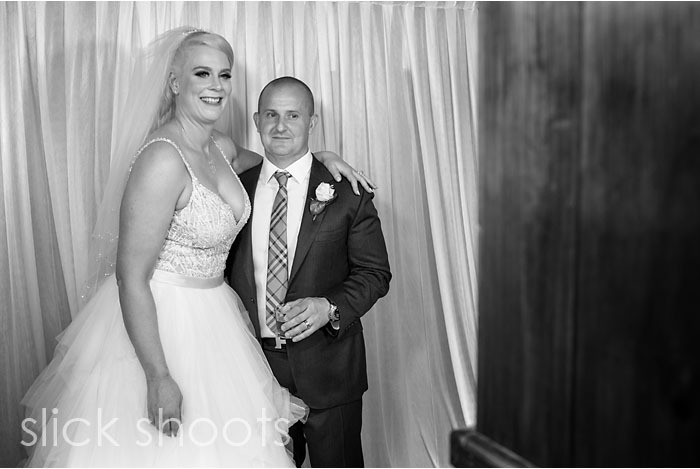 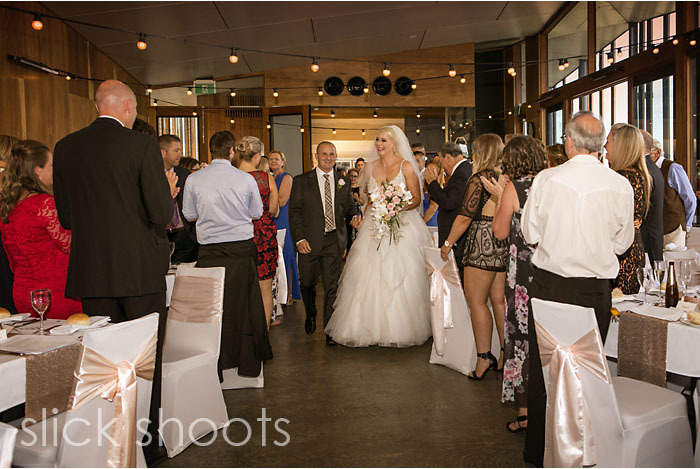 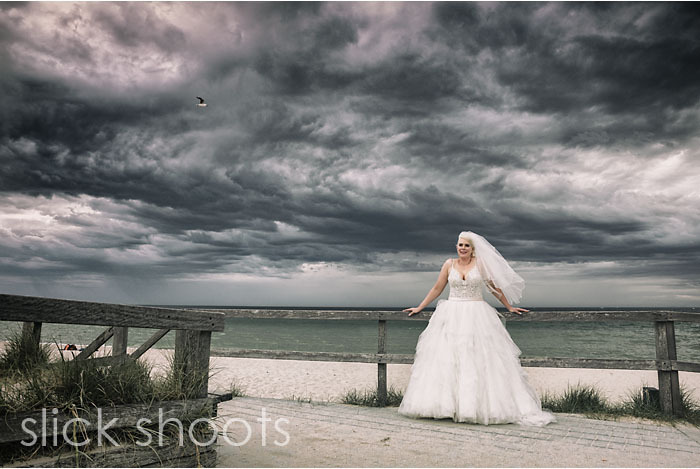 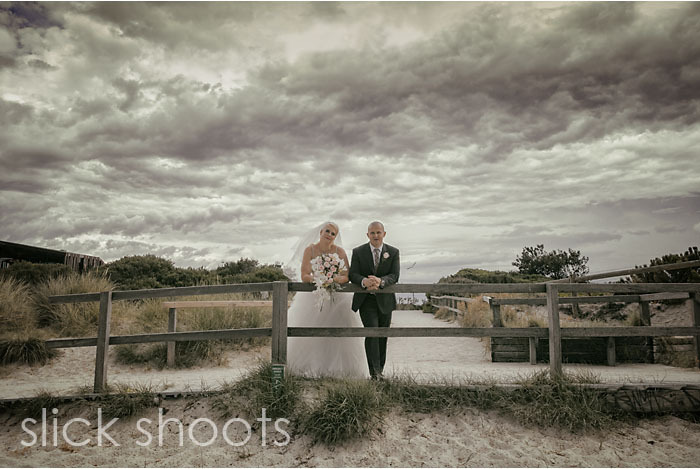 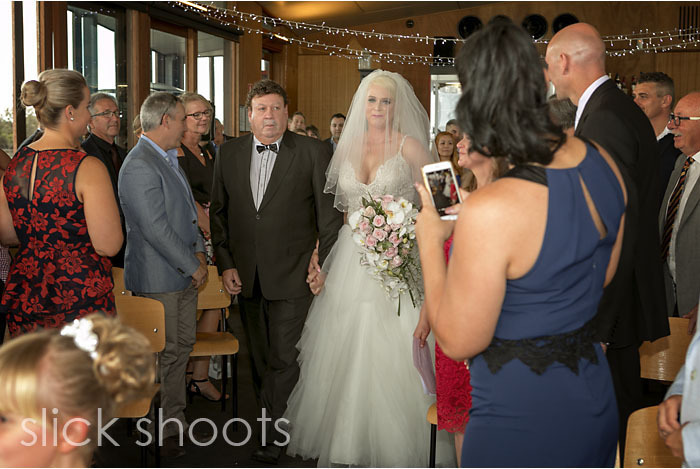 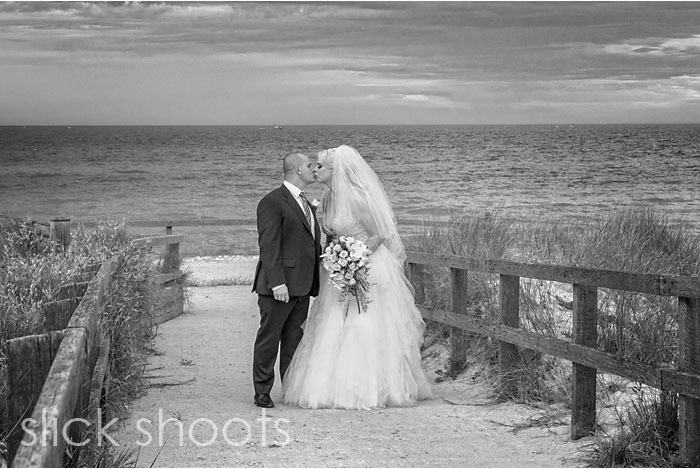 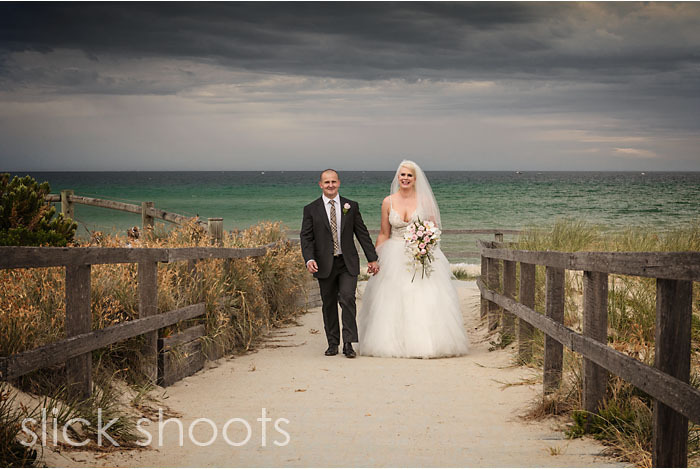 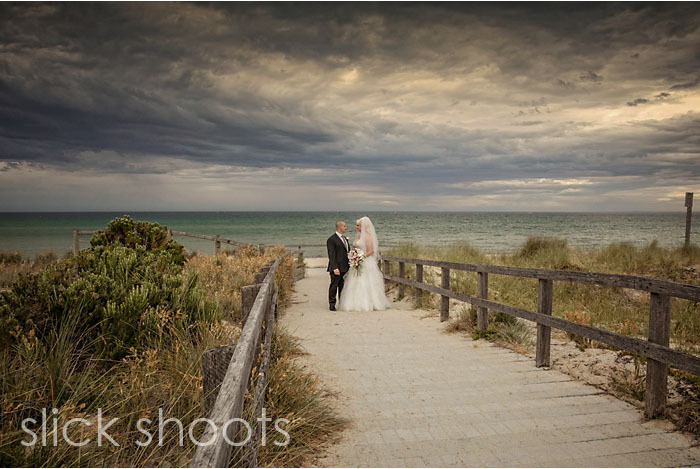 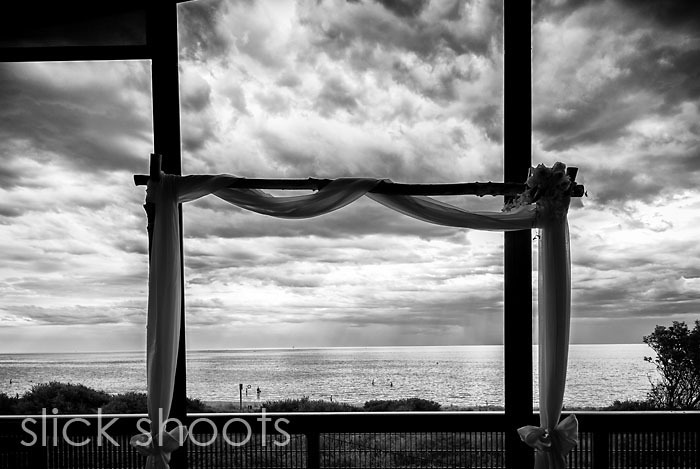 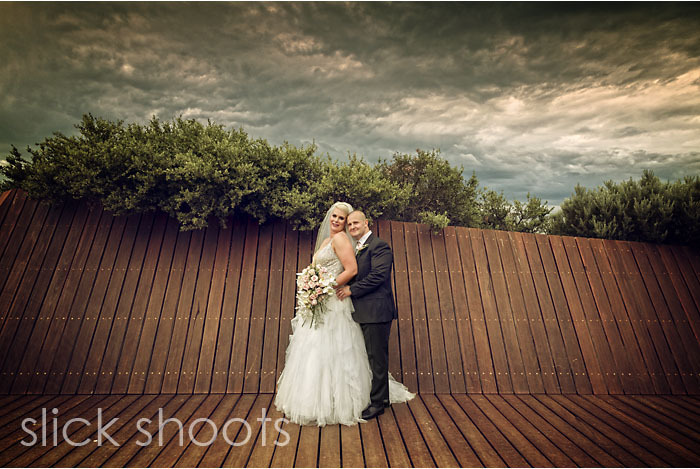 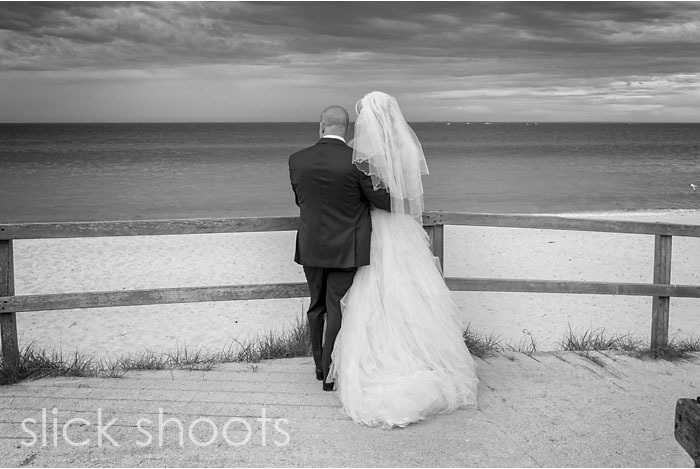 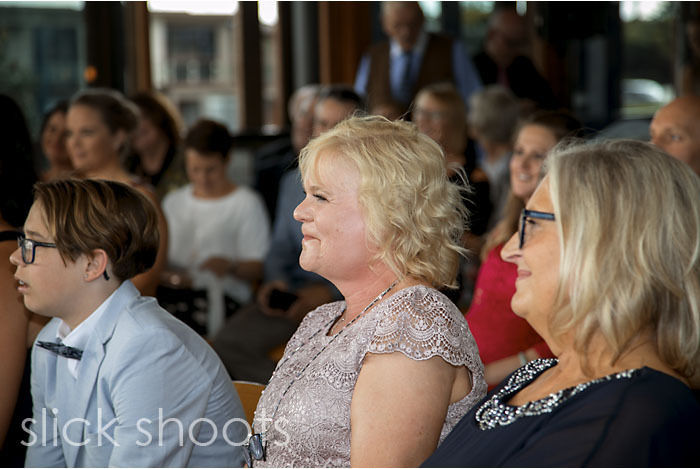 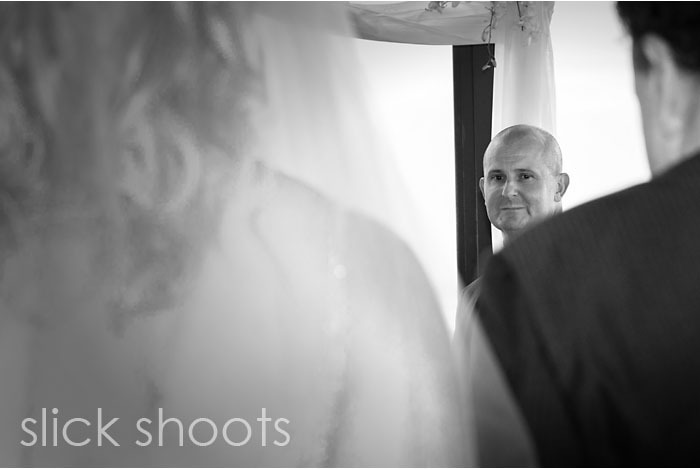 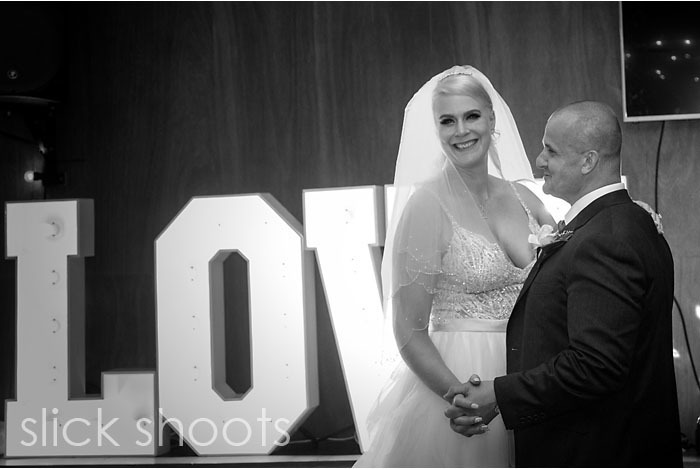 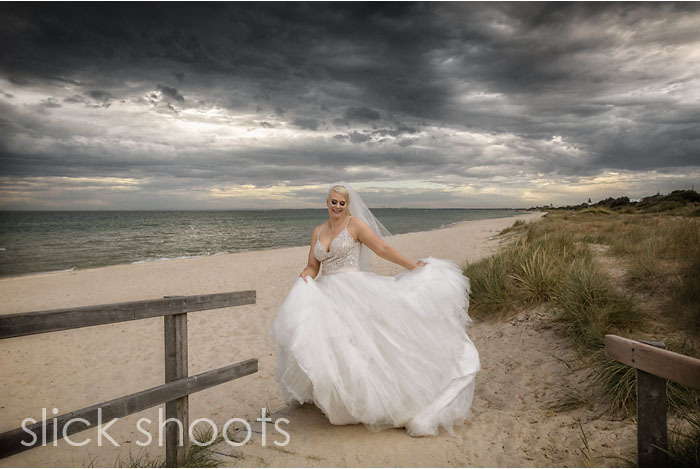 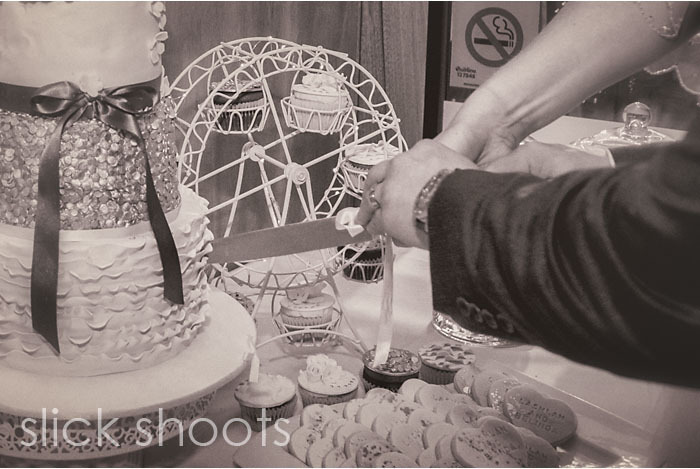 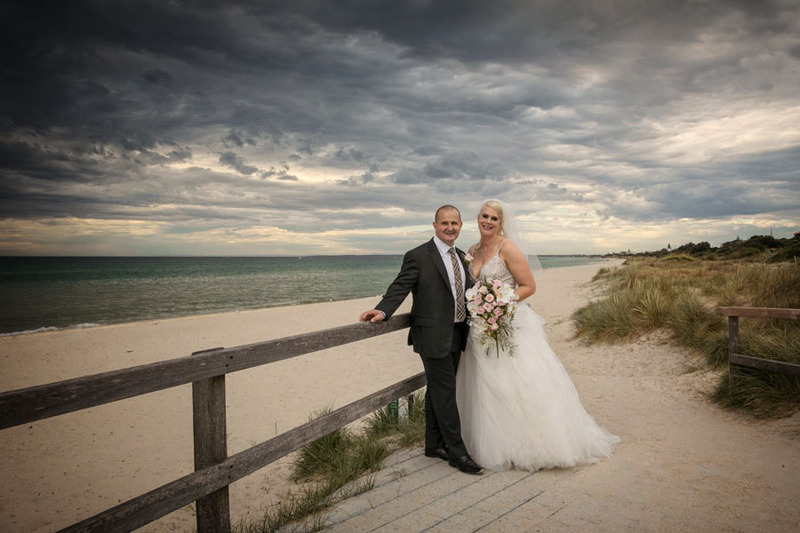 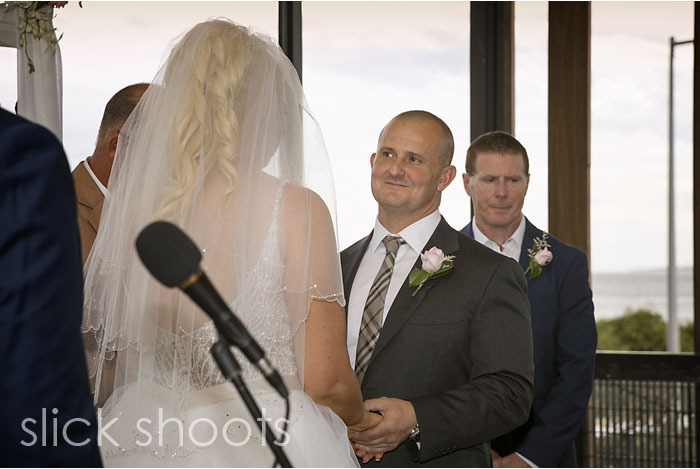 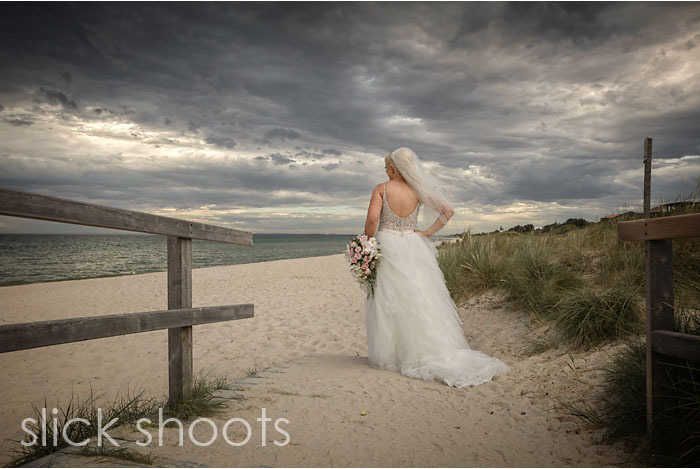 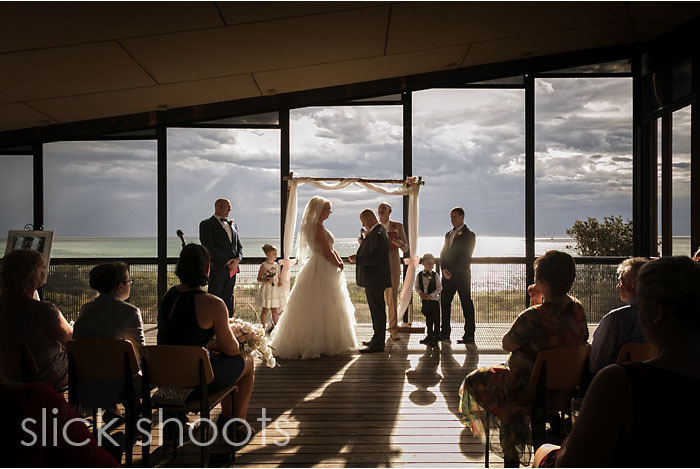 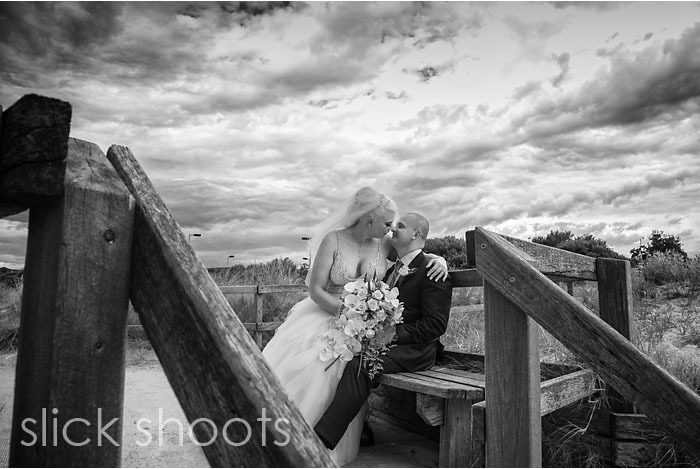 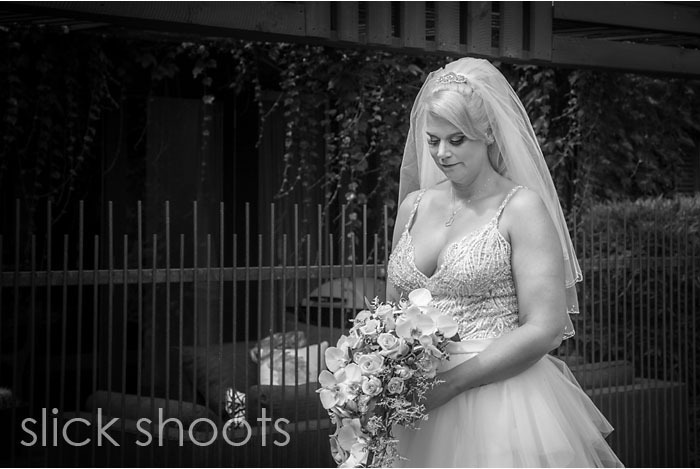 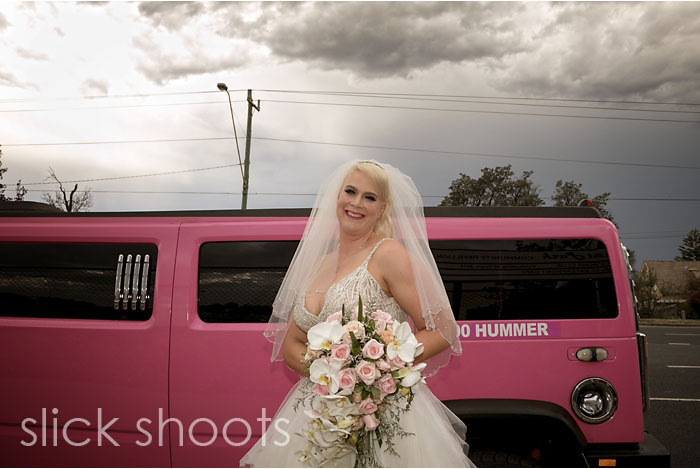 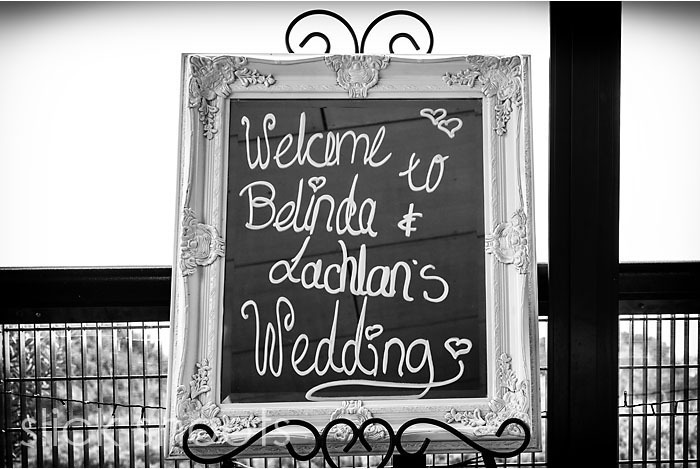 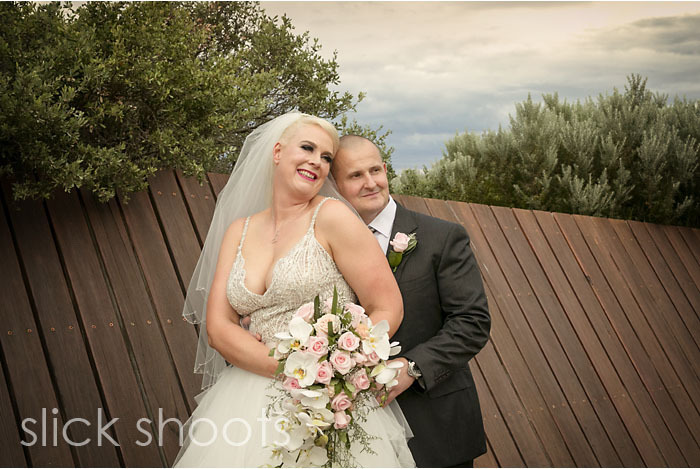 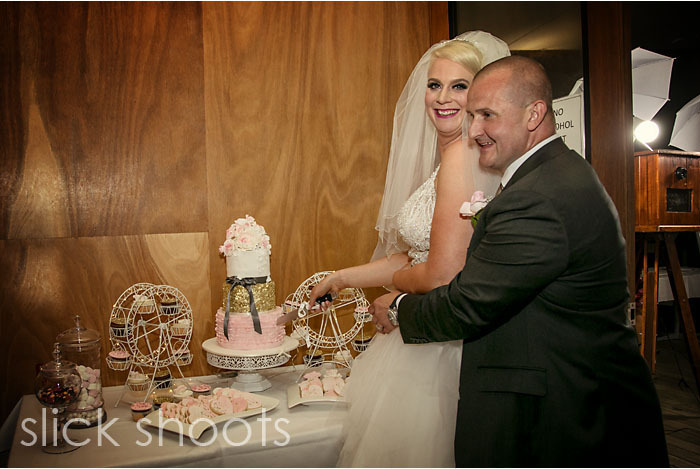 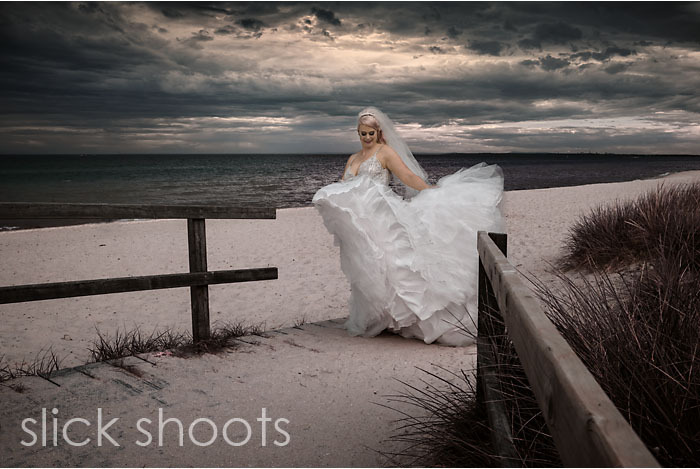 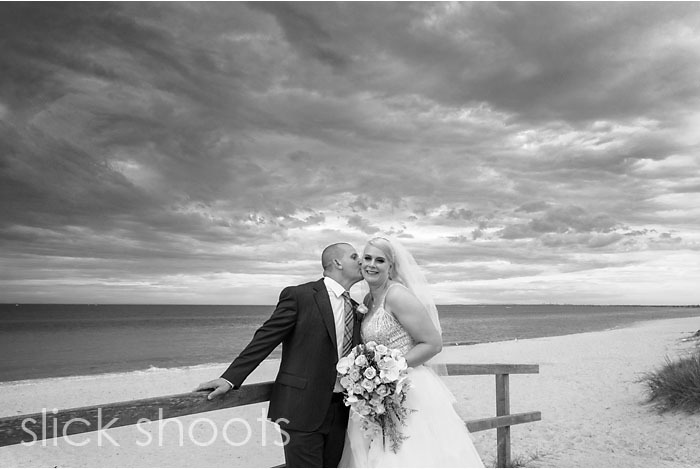 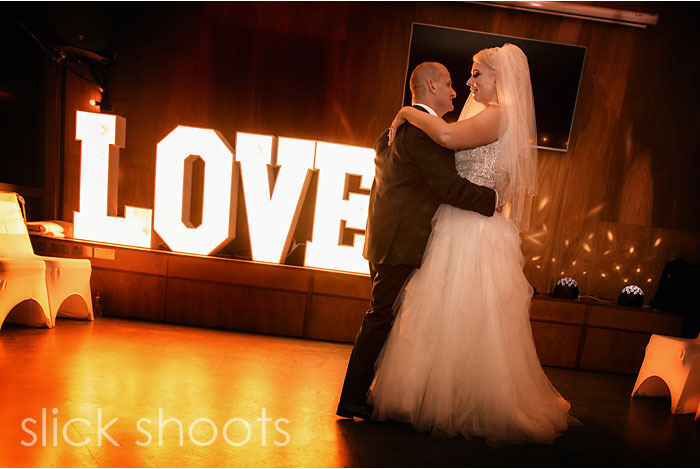 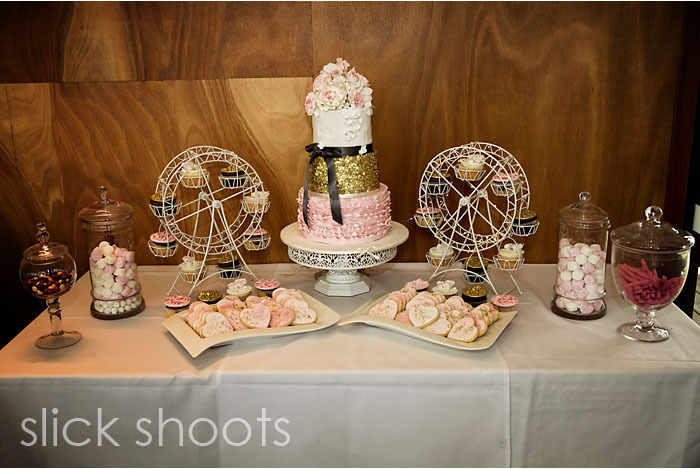 Belinda and Lachlan had their beachfront wedding at the beginning of November at Crackerjack’s in Seaford. 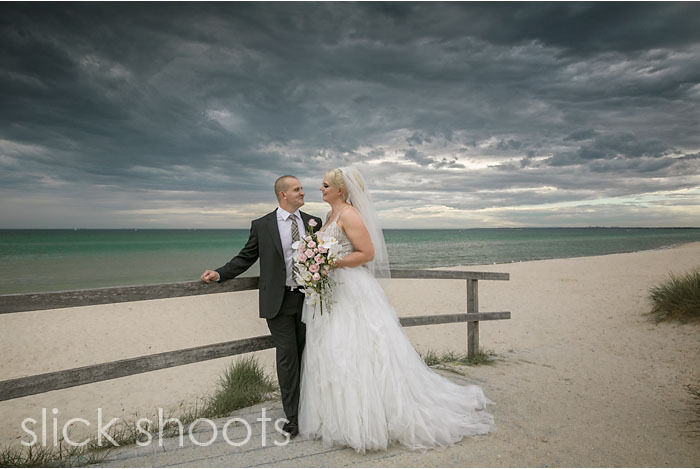 It was certainly a mixed day of weather, starting off sunny and humid but then storm clouds rolled in as the guests gathered for the ceremony! 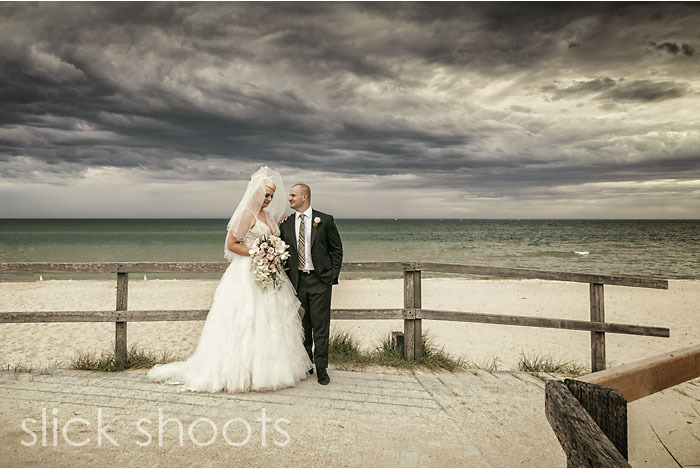 Fortunately we were just on the edge of it but it did give us some wonderful skies for the photos! 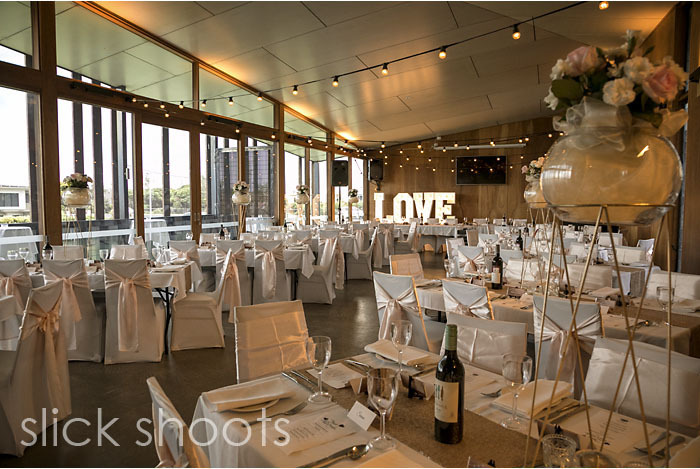 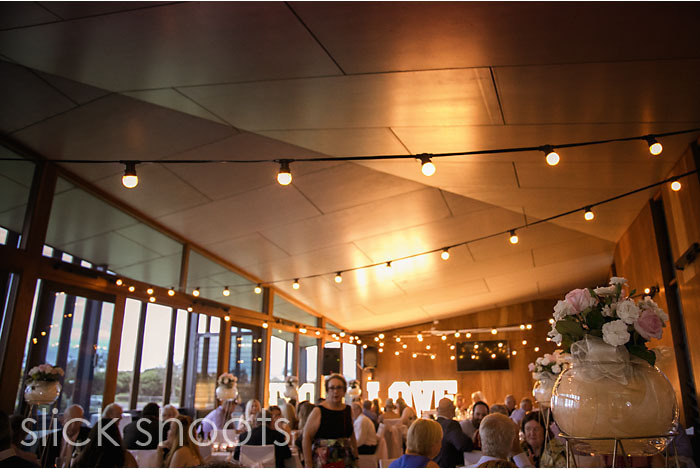 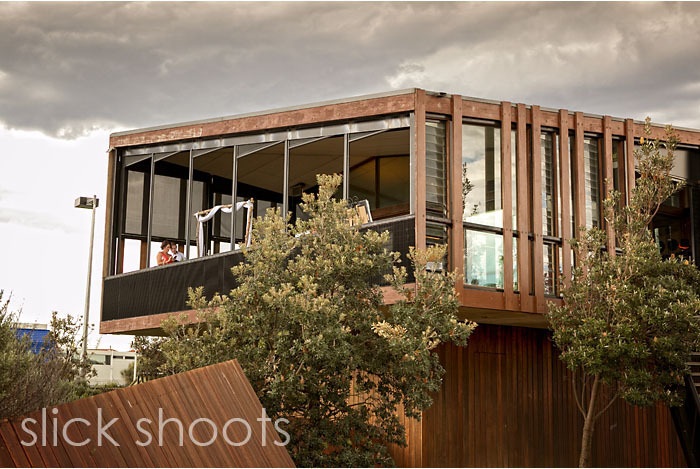 Belinda and her crew got ready at La Serra at Colin Hyett which is a new venue on the Mornington Peninsula. 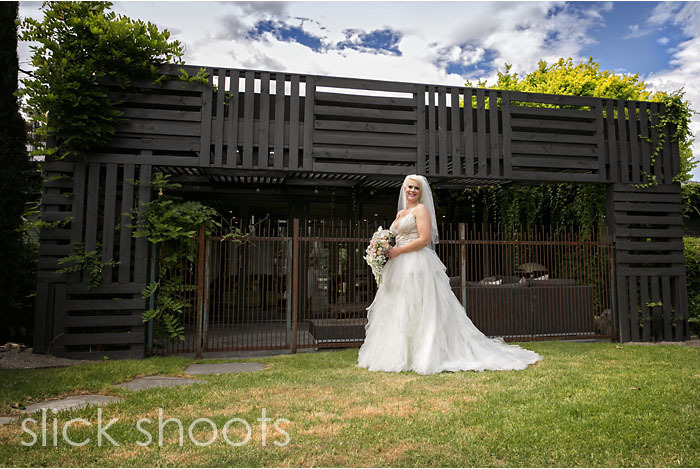 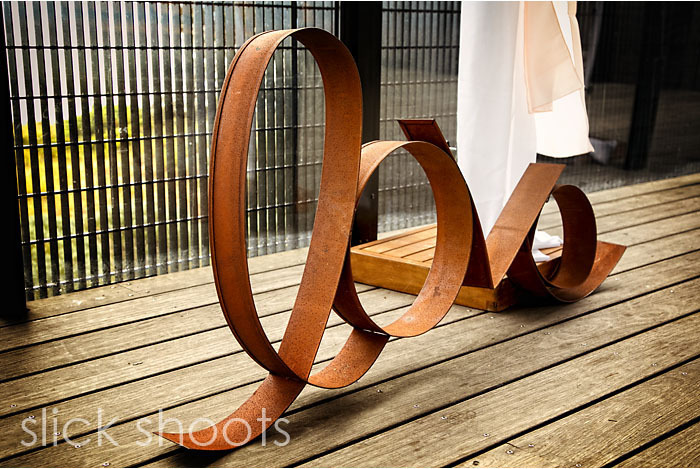 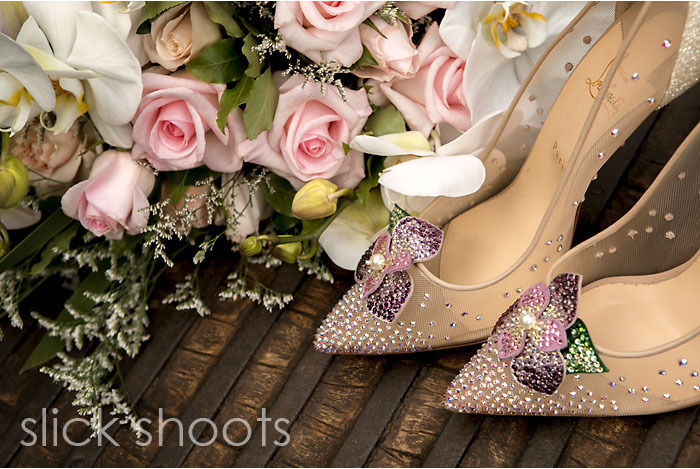 The house is great for pre-wedding photos with lots of interesting items to shoot against plus the beautiful landscaped gardens. 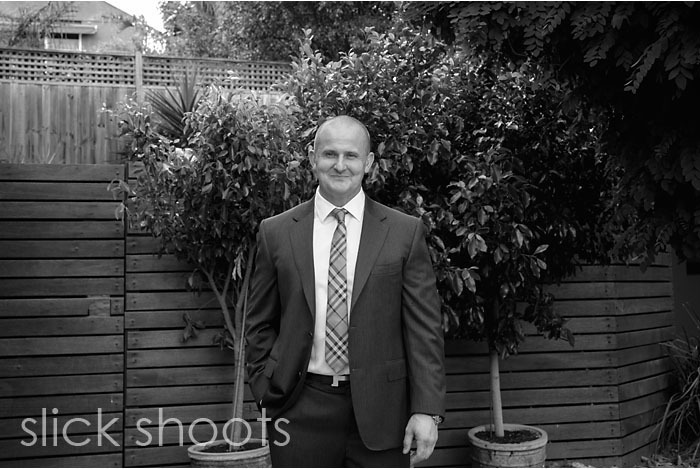 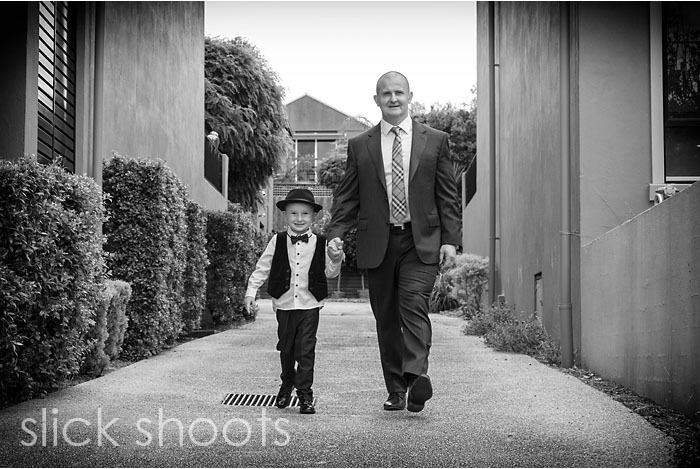 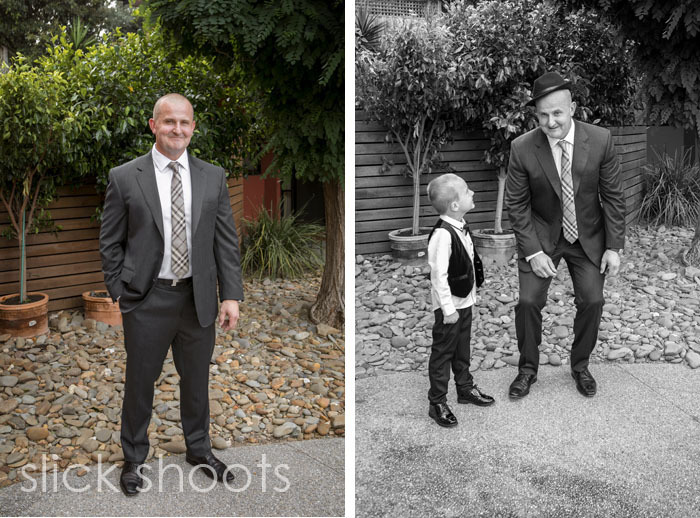 After capturing Belinda we headed off up to Seaford to meet with Lachlan and his right hand man, his young son! 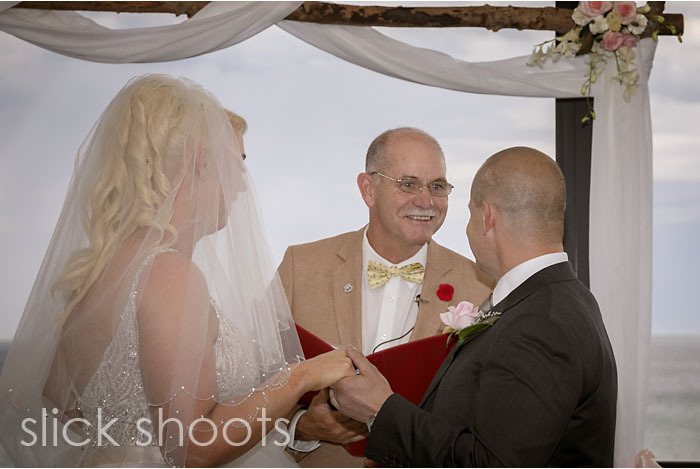 For the ceremony we had Ken Hatherly officiating who is warm hearted and amusing and there were plenty of emotional tears as well during the service! 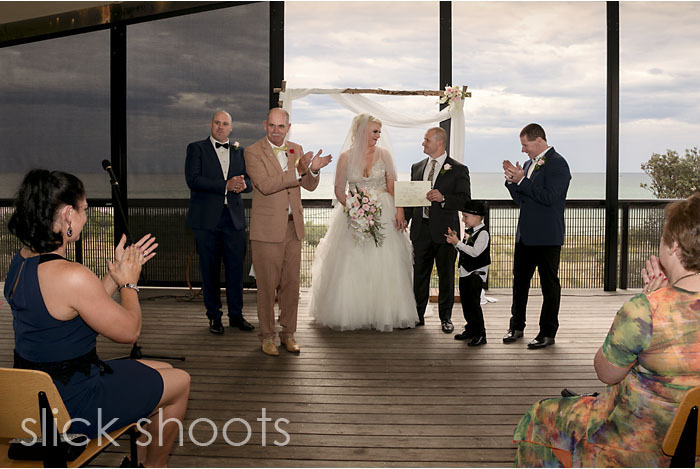 After the ceremony we thought it wise to do the group shot on the balcony as the wind had increased with a few drops of rain, however, it then cleared so we were able to do the family groups outside. 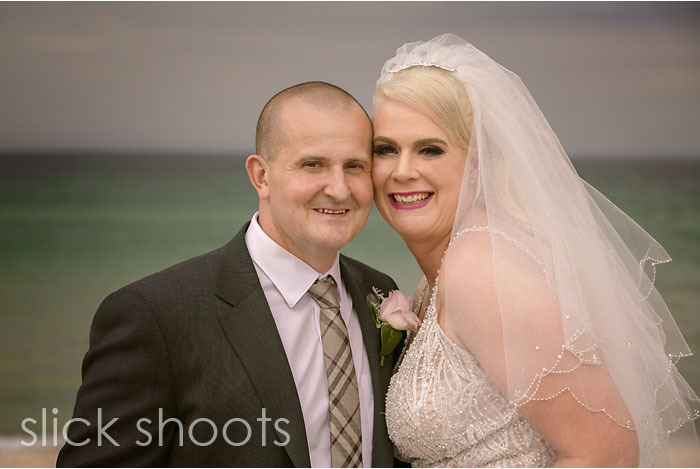 The four of us went down to the beach for a quick photo session as Belinda and Lachlan wanted to spend as much time as possible with their guests and also wanted lots of photos of them enjoying themselves! 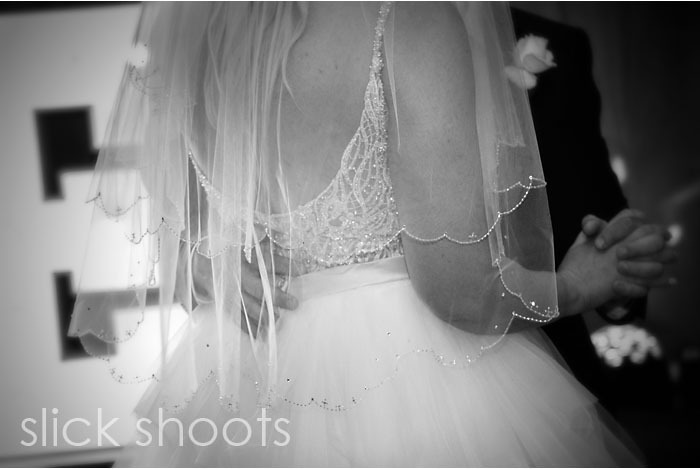 Belinda’s dress had the most fantastic tulle skirt (Kim loves tulle!) 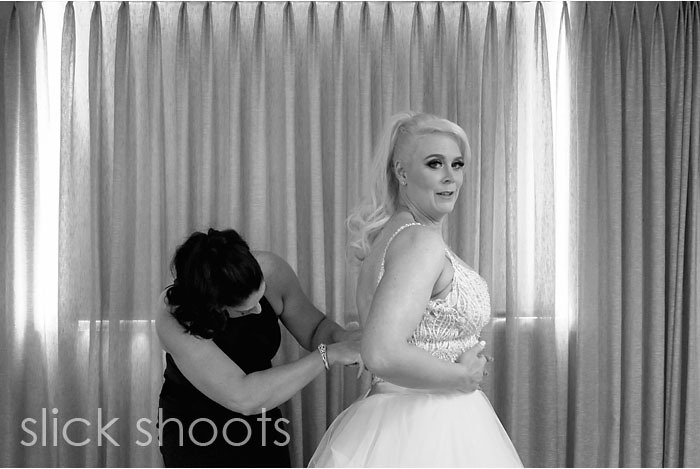 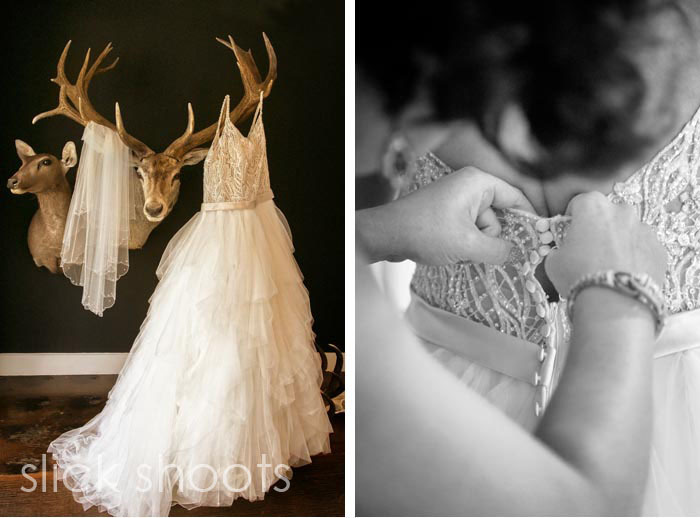 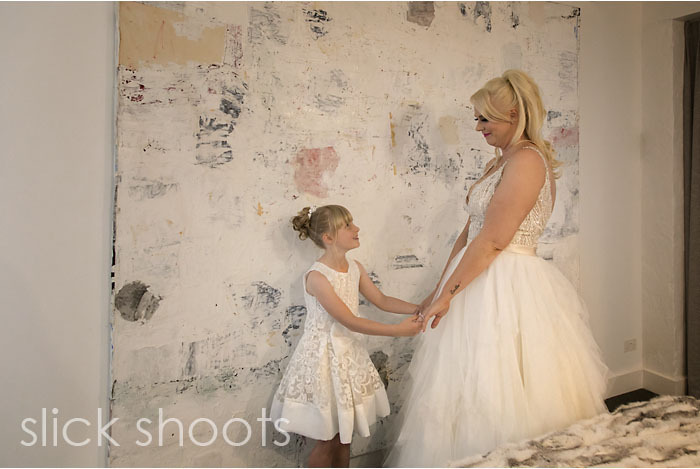 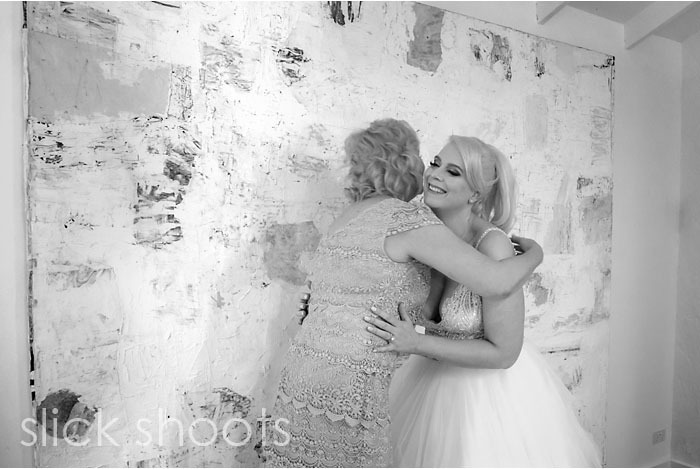 so we made sure we captured lots of photos of swishing the dress! 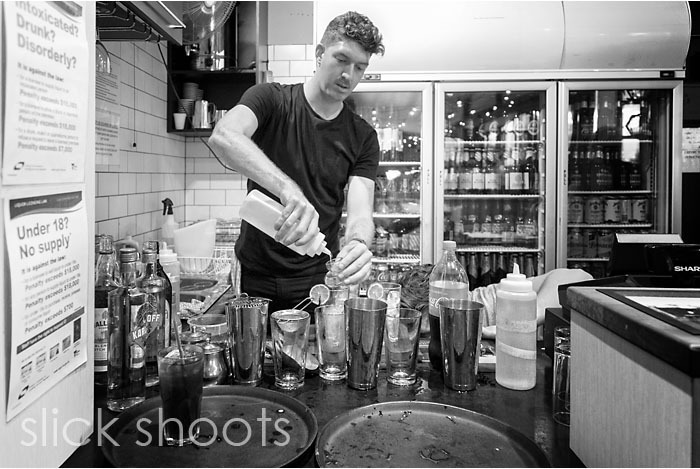 This was our first time shooting at Crackerjack although we’ve popped in there many times for coffee! 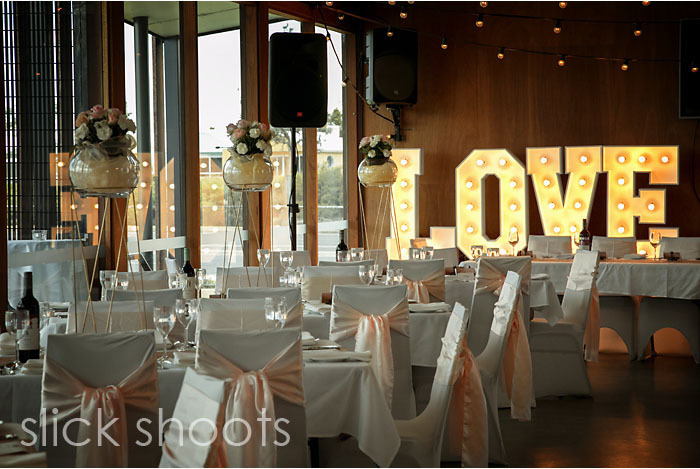 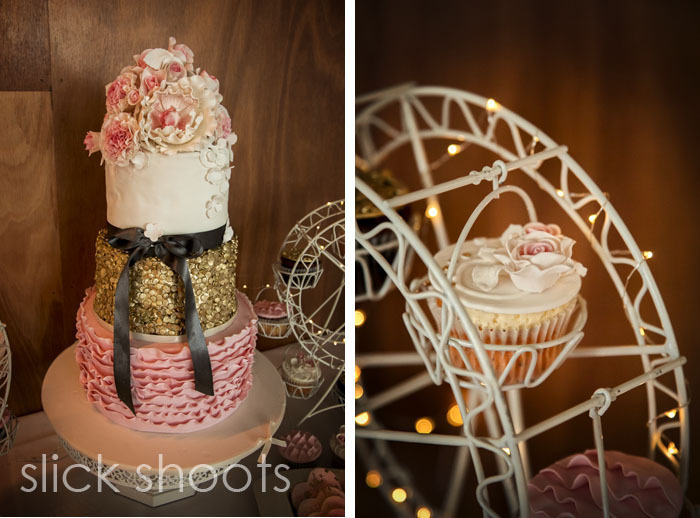 The reception room was stunning and decorated in shade of pinks and rose gold complete with LOVE letters and a photobooth outside. 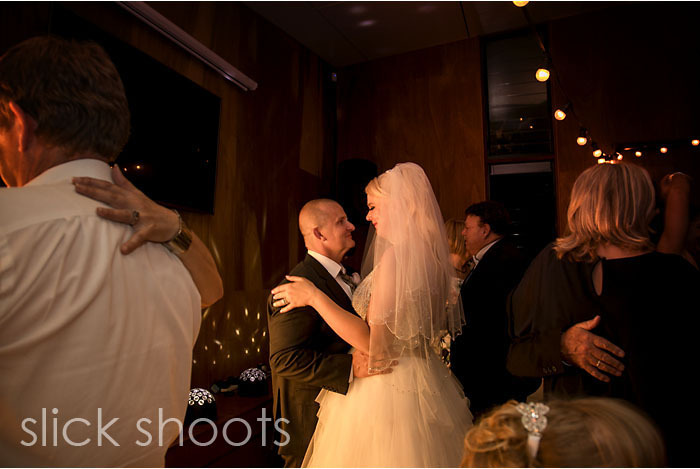 We stayed until the beginning of the dancing and then left them to enjoy the rest of the night! 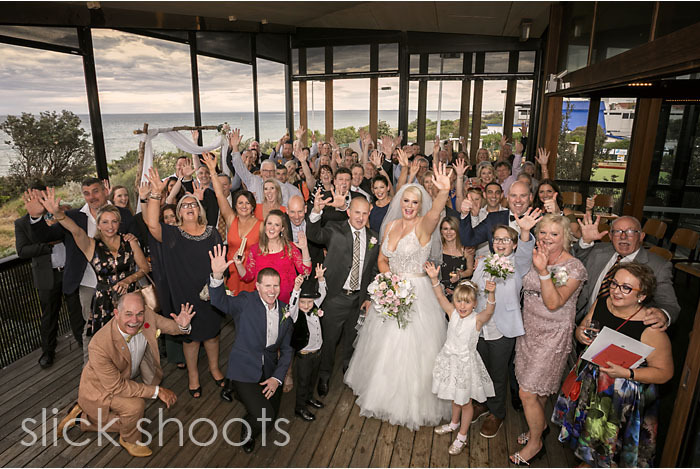 Thanks to the Bali volcano they had to quickly rearrange their honeymoon to Thailand and then we caught up with them a week or so later to present their photos! 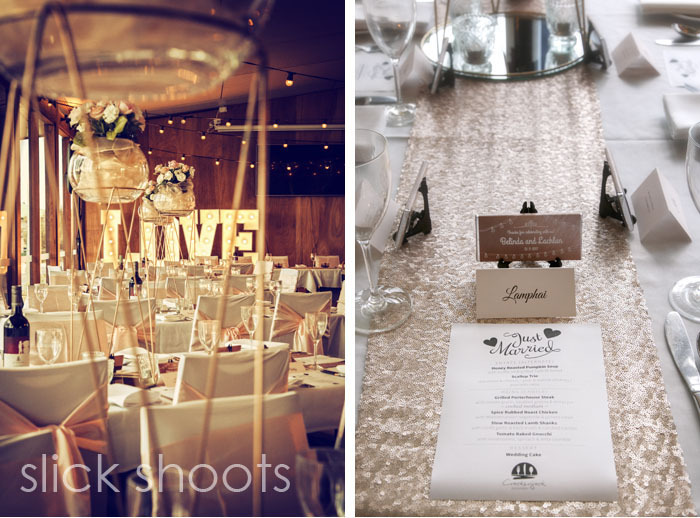 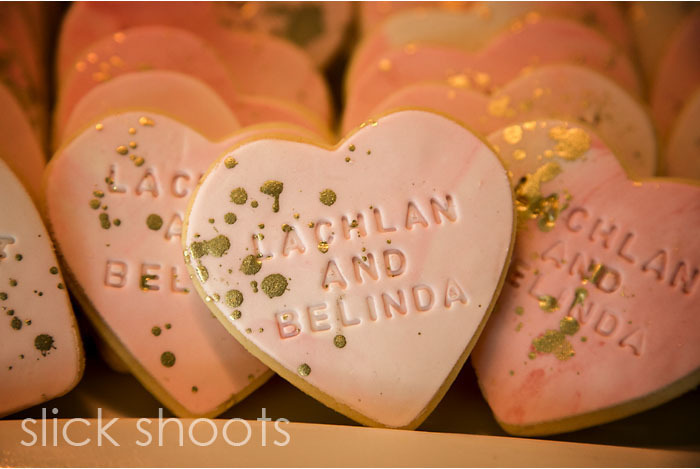 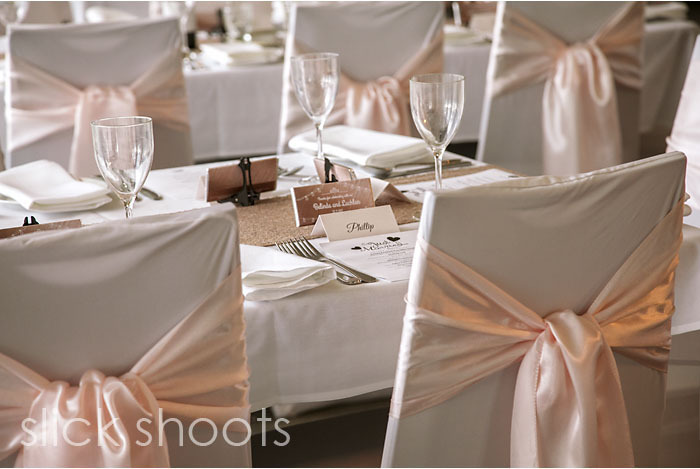 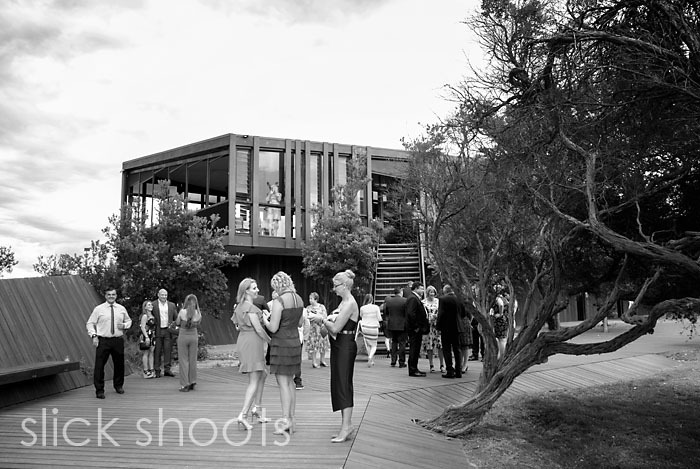 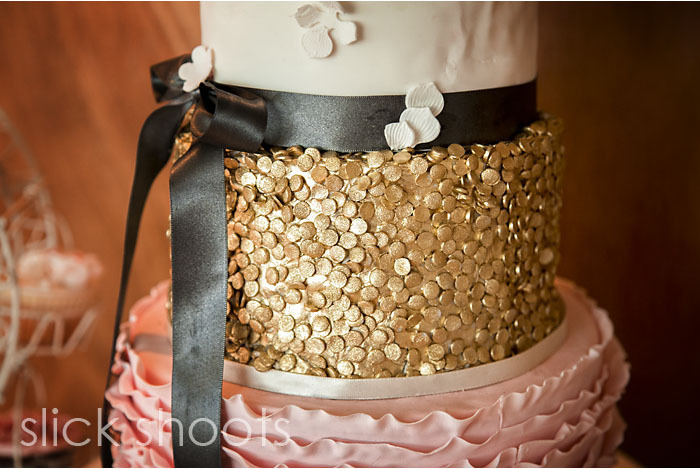 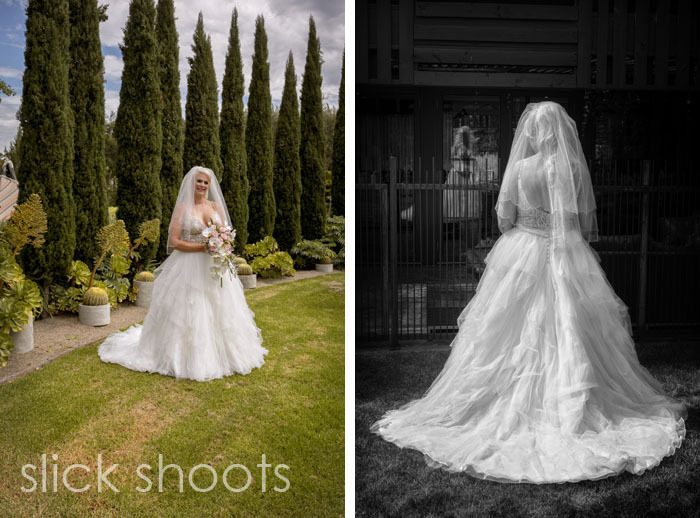 Belinda and Lachlan booked most of their suppliers through the Mornington Peninsula Weddings expo. 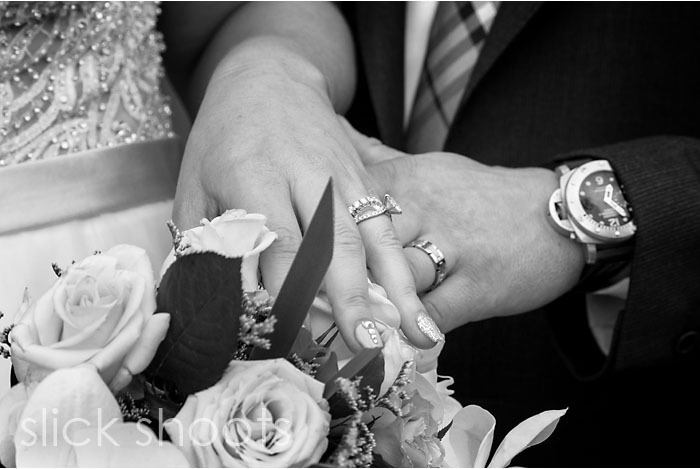 Look out for the next one on June 3rd!